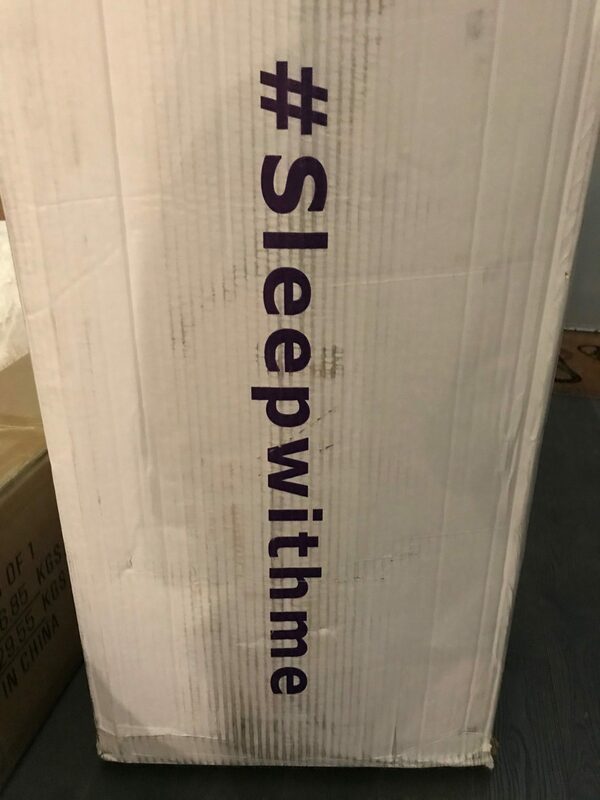 This Polysleep Mattress Review was recently completed by the MattressJunkie.com team. Polysleep is a Canadian based company located in Montreal, Quebec. Polysleep previously only shipped within Canada and just recently opened up to the US. The memory foam mattress comes with a 100-night trial and 10-year warranty. 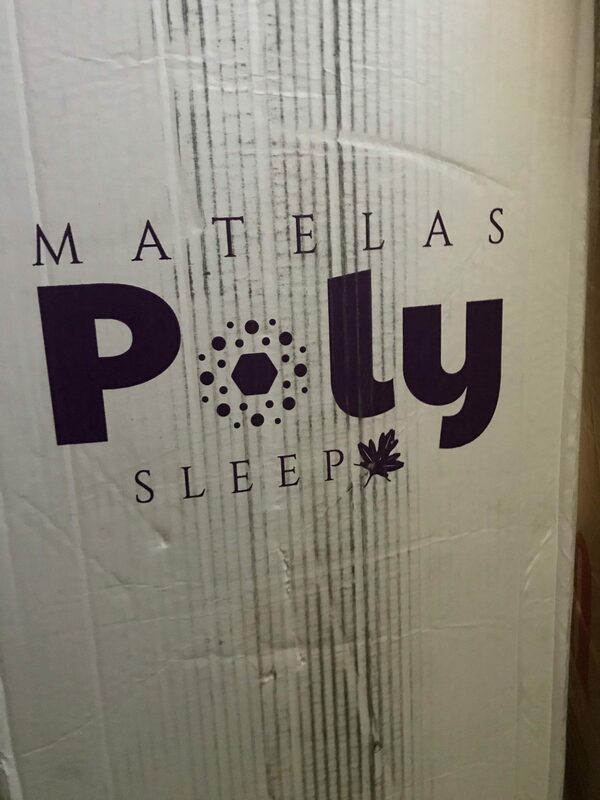 Polysleep consulted with top Canadian chemists who specialize in foam innovations to provide consumers with a mattress that is antimicrobial, provides high density support, superior comfort, and helps regulate body temperature. Check out the rest of the review to see if Polysleep would be a good fit for your sleep style. Tell me more about the Polysleep Mattress cover. 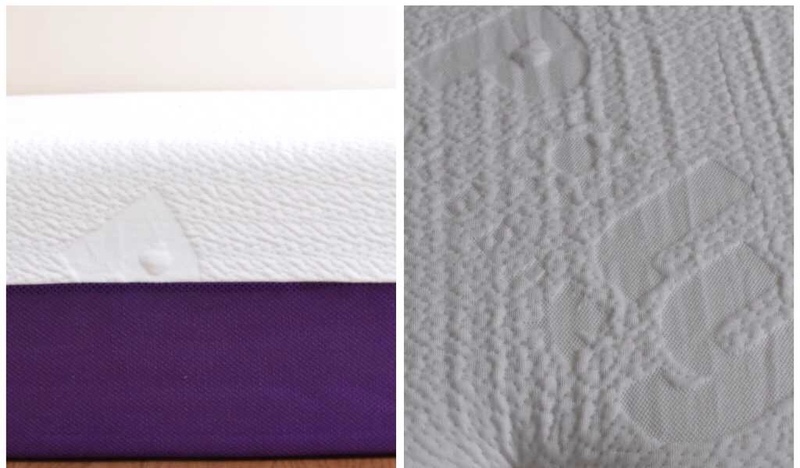 The Polysleep Mattress cover is white on the sleep and purple on the bottom half. The cover is polyester which gives it a soft feel and mesh on the sides. The mesh sides give the mattress extra breathability which is always helpful with heat retention. The Polysleep Mattress cover is liquid repellant so this is a nice feature that we don’t see very often. With the liquid repellant bonus, you don’t have to worry about your mattress soaking up fluids like a sponge. What’s Under Polysleep Mattress cover? Layer 1 is a comfort layer of cooling and contouring viscoelastic hybrid foam. This 3-pound, ventilated, viscoelastic foam is antimicrobial and allows air to pass through without heat buildup so you sleep cool throughout the night. This top layer also contours to the sleeper’s body so you don’t have to worry about pressure buildup on any one portion of the body. Layer 2 is a support layer. The support layer serves as the transition layer between the base layer and top layer. 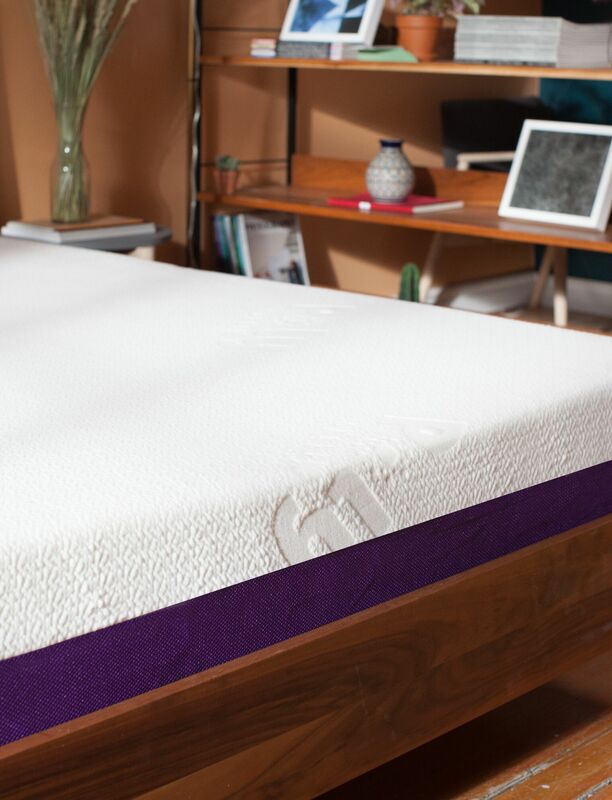 This 1.8-pound transition memory foam gives the sleeper deep comfort and soft support. Layer 3 is the base layer. High density support foam is critical for the durability, strength, and long term comfort of the mattress. 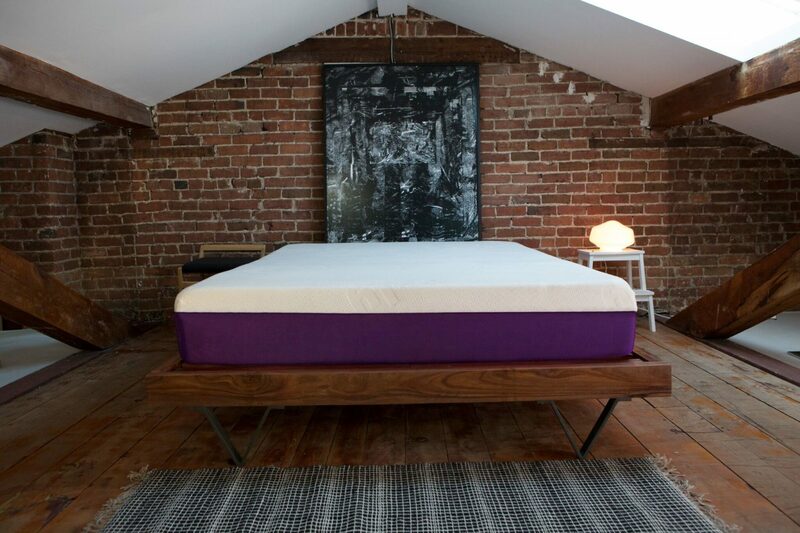 The Polysleep Mattress base is made up of 1.8-pound high density support foam. 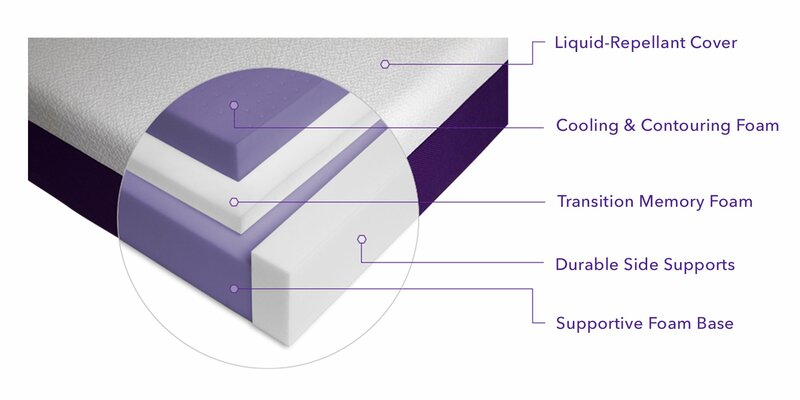 Polysleep added a layer of proprietary support frame foam to the edges of their mattress. We thouroughly appreacited this addition because many memory foam mattresses have poor edge support. For those who like to use the edge of the bed for sitting or sleep close to the edge, you will appreciate the added layer of side support. This extra layer solves a common consumer complaint with many memory foam mattresses. What Sleep Style Works Best with the Polysleep Mattress? The Polysleep Mattress is a medium in terms of firmness. I recommend medium mattresses for side and back sleepers. What type of base should I place my Polysleep Mattress on? We reviewed our Polysleep Mattress on a platform bed. Any flat surface such as a box spring or even the floor would work just fine. Most mattresses have an odor to them when you unroll and remove the vacuum sealed plastic. This “new mattress” smell is called off-gassing. Off gassing is not harmful nor toxic in any way. As your mattress breathes, the off-gassing smell will fade. Polysleep Mattress did not have a smell for longer than a few days before fading. All foams used in the Polysleep Mattress are Centri-PUR-US certified so you can rest assured that your mattress is free of harmful toxins. What Type of Warranty and sleep trial Does Polysleep Mattress Offer? Polysleep Mattress has a 10-year warranty on manufacturer defects so you don’t have to worry about any issues that arise with your mattress. Polysleep also offers a 100-night sleep trial so you can try the mattress for 100 nights at no risk and if you decide that it’s not for you, they will give you a full refund. How much does the Polysleep Mattress cost? Do we recommend the Polysleep Mattress? 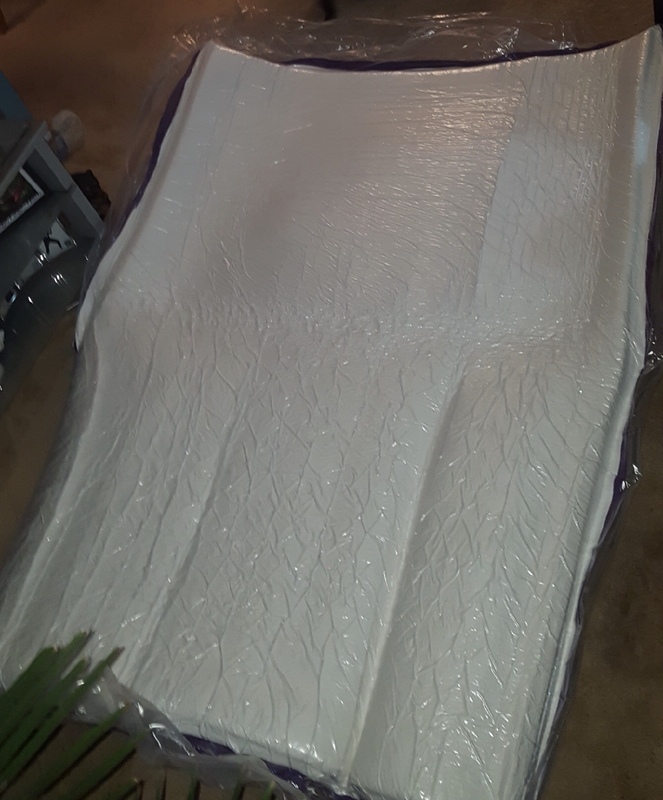 We loved the liquid repellant cover and the cool, comfortable support of the Polysleep Mattress. The antimicrobial properties are also clutch for everyone but those suffering from allergies should take advantage of a cleaner sleep surface. If you live in the US or Canada and like the comfort of memory foam, Polysleep would be a great option for you. Learn More About Polysleep Mattress Here……Code “Junkie70” saves $70 dollars on any mattress.